Naruto may be over, but the series’ creator is not ready to retire. Masashi Kishimoto has been resting since his famous title ended a few years back, and the artist is finally ready to make his anticipated comeback. Thanks to new reports, fans have learned Kishimoto will begin a brand-new series this year. I’m really excited for this new project. Over in Japan, the editor-in-chief of Weekly Shonen Jump opened up about the artist’s return to manga (via ANN). Hiroyuki Nakano told press at a Tokyo presentation that Kishimoto is not releasing a simple one-shot this year. No, the artist will be doing a full series instead. Isn’t that amazing? It’s not some random one-shot but a full series. Right now, the serialization is in progress. Kishimoto is developing the full series with Shueisha, but no word has been given about his team. Fans can expect to learn about the manga’s editor and such once it debuts. No publication date has been given as of yet. I think he’s trying to make it as big as Naruto and he needs time for that. I think 2019 would be an appropriate time. Fans were told Kishimoto was interested in a new series shortly after Naruto ended. The artist told fans in 2015 that he was working on a sci-fi series. Kishimoto confirmed he was still working on the project in August 2016 during an interview with Jump Giga as the man said he finished his research for the title. Last December, Kishimoto teased his new project at Jump Festa as several panels from the manga were released to preview its 2018 publication. So far, fans have no idea what the series will be about. Fans are interested to see how Kishimoto will approach the sci-fi genre after his lengthy work with Naruto. The ninja-centric manga made its debut back in 1999 with Weekly Shonen Jump. The manga ran for 15 years before ending in 2014, solidifying Naruto’s long-running status. 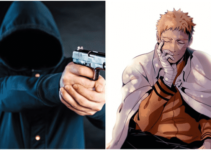 To date, the manga has sold more than 220 million copies worldwide, and the franchise has become an internationally popular one thanks to its anime, films, and video games. Someone Robbed A Store To Test His Naruto Skills! 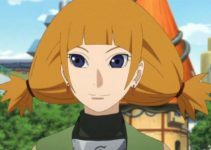 The Newest Wood Release User In Boruto Revealed! 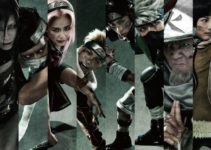 ‘Naruto’ Creator Just Brought Up Its Hollywood Adaptation!